MILLENNIUM® B&W JOINTS :::: Custom Expansion Joints, Inc. Custom Expansion Joints, Inc. has developed an exclusive forming method for the B&W-style bellows elements. It’s made for the 21st century, and it significantly reduces the amount of welding. Less welding means less opportunity for failure, which means good service life at a lower cost. Limited only by the starting width of the material, we are able to form as many as 3 convolutions, 9” x 1.5” X over 32 feet long from one single sheet with no welds. 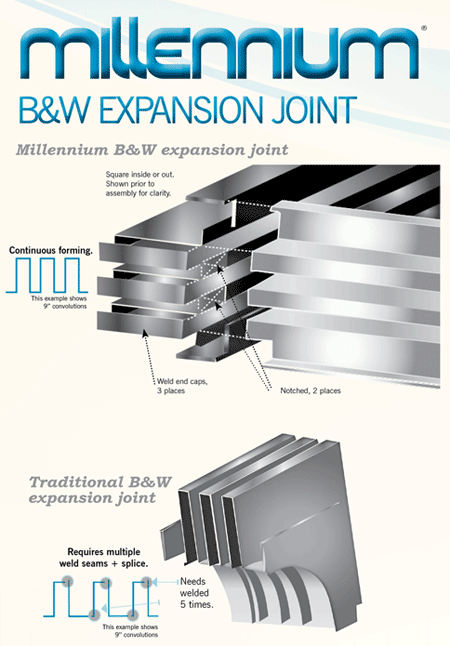 In conjunction with our unique forming method for the bellows sides, the Millennium® B&W-style Expansion Joint has a corner configuration that has even fewer welds than the traditional design. As the diagram shows, simplicity is the key. Rather than the corner being a separate weld element, we notch and weld end caps to one of the long sections. This produces a corner that is square inside or out. Check out a video of the Millennium expansion joint being bent on the brake press. Check out a video of the Millennium expansion joint being seam welded together. Would you like to know more? Let us send you our data comparison sheet. (You’ll be impressed). Also, we can develop a B&W-style custom expansion joint made out other materials. We work with 10, 12 or 14 gauge. Need another convolution style? No problem. We also work with 4’’, 6’’, 9’’ 12’’ convolution heights. © 2011 Custom Expansion Joints, All rights reserved. 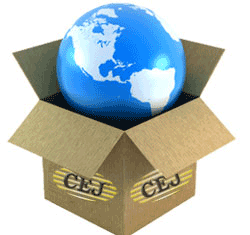 Any part of this article can not be reused without CEJ’s permission. 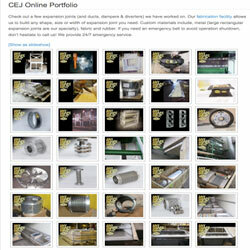 Gather data with our online data sheets. You tell us, when you want it, how you want it and where you want it. We'll make it happen. 100% satisfaction is our motto.